Even those who take great pleasure in cooking have moments where it feels like one more tedious chore on a long to-do list. Surprisingly Gwyneth Paltrow has come up with a glossy solution–and no it doesn’t involve bee pollen, moon dust, or a long list of other esoteric ingredients. Aptly named It’s All Easy: Delicious Weekday Recipes for the Super-Busy Home Cook, it’s filled with gorgeous imagery alongside its 125 approachable recipes, many of which you could easily do in 30 minutes or less. While the focus isn’t on elimination diets–as was the case with Paltrow’s previous book–there are plenty of gluten-free and vegan options. 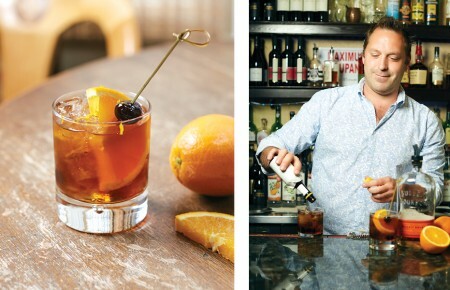 Here’s a look at three of Paltrow’s favorite recipes straight from her just released book. Bring a large pot of heavily salted water to a boil over high heat for the pasta. In an 8-inch sauté pan, cook the pancetta over medium heat until crispy, 5 to 7 minutes. Combine the egg yolks, egg, Parmesan, and pepper in a large bowl. Cook the pasta according to the package instructions until al dente. Reserve 1 cup of the hot pasta cooking water (the temperature is important because you are going to use it to cook the egg) and set aside. Next, drain the pasta, and add it to the bowl with the cheese and eggs, tossing immediately to mix everything together. 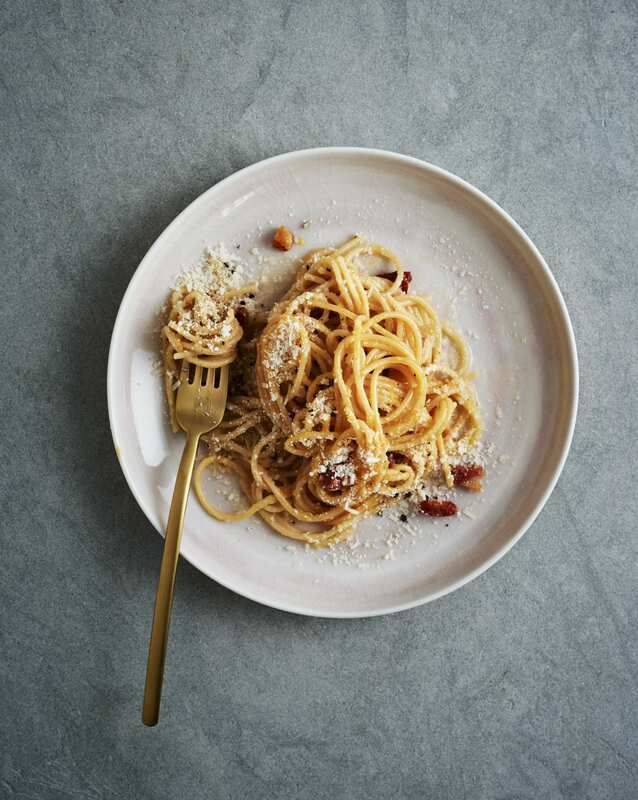 Add the pancetta and any rendered fat from the pan to the bowl, toss to coat, and add the pasta water 1 tablespoon at a time until the sauce reaches a creamy consistency (this usually takes about ¼ cup). Adjust with extra cheese, pepper, and salt to taste. Remove the scallops from the fridge, use a paper towel to dry them very well, and season generously with salt and pepper. Mix the lemon juice, vinegar, shallot, and 1 tablespoon of the olive oil in the bottom of a large bowl. Use a peeler to shave 4 of the asparagus spears and add them to the bowl along with the watercress. Cut the remaining 8 asparagus spears into ½-inch pieces and set aside. Heat a large sauté pan over medium-high heat. Add 1 tablespoon of the olive oil, the snap peas, and the asparagus pieces, season with salt and pepper, and sauté for 1 to 2 minutes, or until just barely cooked. Add to the bowl with the watercress and shaved asparagus. Add the remaining 2 tablespoons olive oil to the sauté pan, then add the scallops, leaving them to sear on one side, undisturbed, until very crispy and almost cooked through, 3 to 5 minutes. Flip the scallops, then reduce the heat to low and add the butter. The butter will immediately sizzle and start to turn brown. Turn off the heat (the residual heat will finish cooking the scallops). Toss the watercress-asparagus salad to combine well. 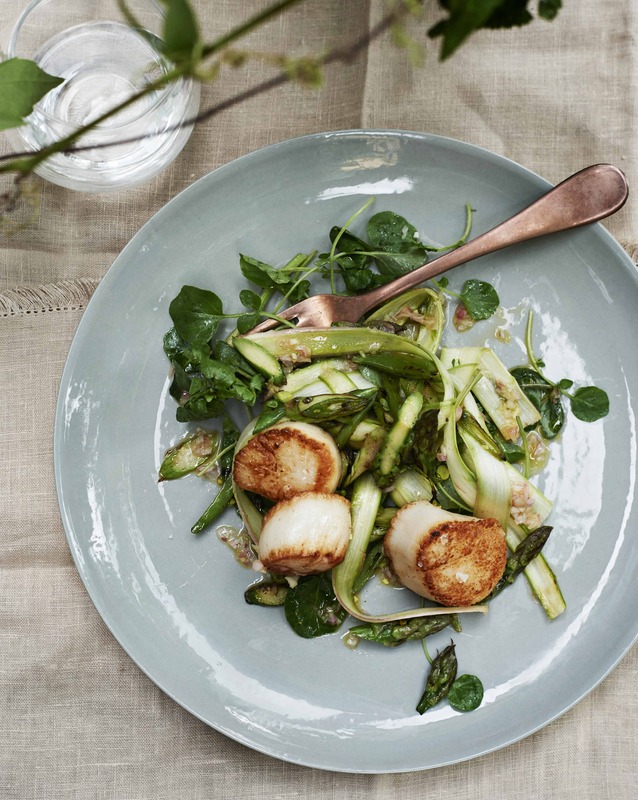 Divide the salad among four plates (or arrange it on one platter), arrange the cooked scallops on top of the salad, and pour the brown butter over. Garnish with a little coarse sea salt and serve with lemon wedges on the side, if desired. To make the crust, place all the crust ingredients in a medium bowl and use your hands to mix thoroughly, making sure there are no lumps of coconut oil left. Divide the mixture into 8 (about 1 tablespoon each) balls if using a standard muffin tin or 24 (about 1 teaspoon each) balls if using a mini-muffin tin. Place one ball of dough in each well of the muffin tin. Wet your fingers with water and press the dough up the sides to make little tart shells. Place the tart shells in the fridge to set while you make the filling. To make the filling, scoop out the solid portion of the coconut milk (leaving it in the fridge overnight allows the fat to separate from the liquid) and place it in a large bowl. Use a fork to break it up into an almost smooth consistency, then add the lime zest, lime juice, and coconut sugar. Whisk until the mixture is super smooth and has the consistency of lightly whipped cream. 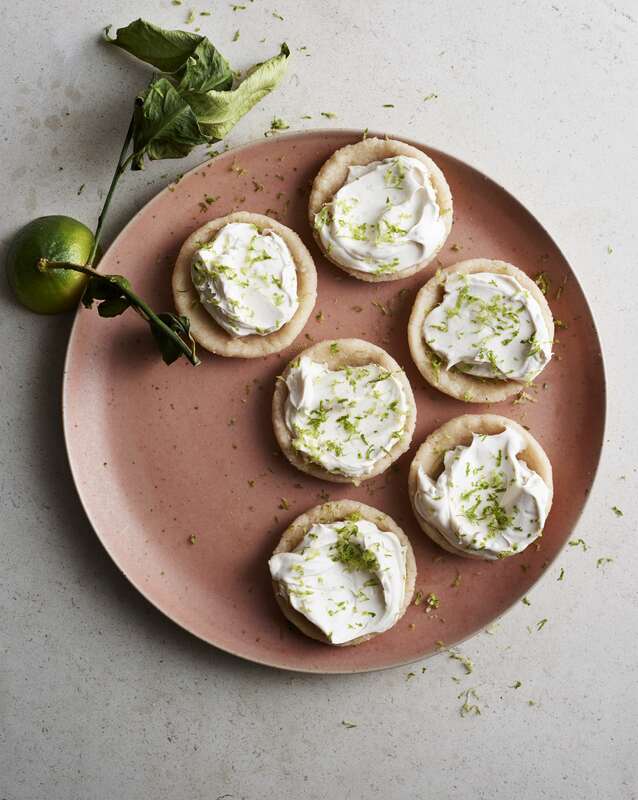 Fill each tart shell with the coconut filling, garnish with extra lime zest, and refrigerate until firm, at least 1 hour. When ready to eat, use a butter knife to loosen the tarts from the pan, then pop them out. Eat immediately or store in the fridge so they keep their shape. 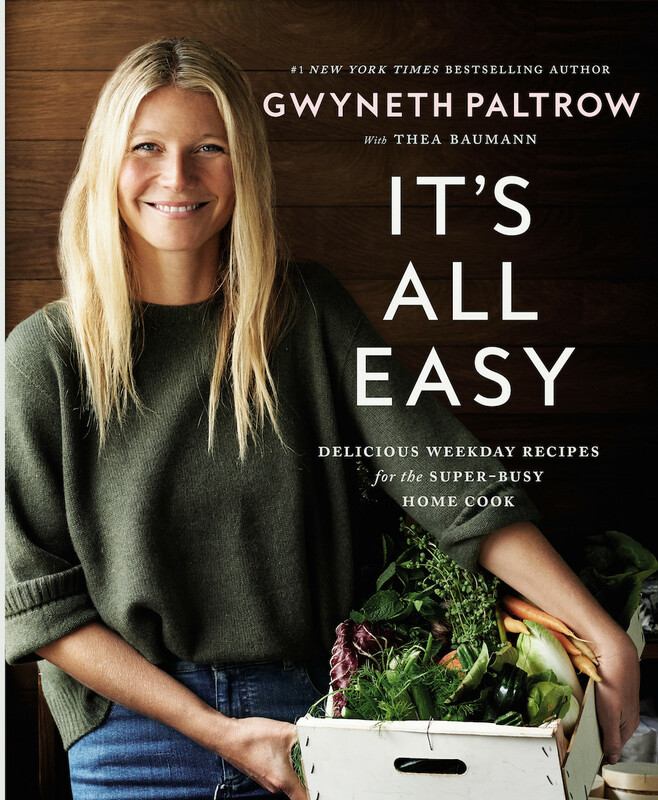 Excerpted from the book IT’S ALL EASY by Gwyneth Paltrow. Copyright © 2016 by Gwyneth Paltrow. 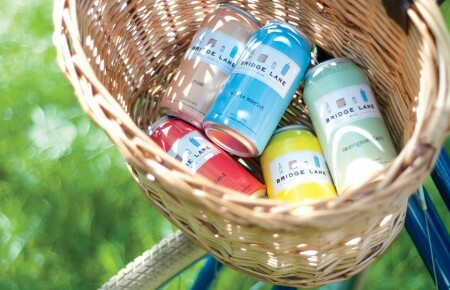 Reprinted with permission of Grand Central Life & Style. All rights reserved.